The event begins on Sept. 10 with Strayed, author of the No. 1 New York Times Best-seller “Wild.” The memoir recounts the 1,000 mile hike along the Pacific Crest Trail that Strayed took after her mother’s unexpected death from cancer and the end of her young marriage. Moore, a youth advocate, Army combat veteran and best-selling author of “The Other Wes Moore,” visits Oct. 15. His book is about two boys with the same name, growing up in the same city. One grew up to be a Rhodes Scholar, decorated combat veteran, White House Fellow and business leader. The other is serving a life sentence in prison for felony murder. Oliver, host of HBO’s “Last Week Tonight with John Oliver,” was voted the Undergraduate Student Choice Speaker and will appear Nov. 18. His show presents a satirical look at the week in news, politics and current events. 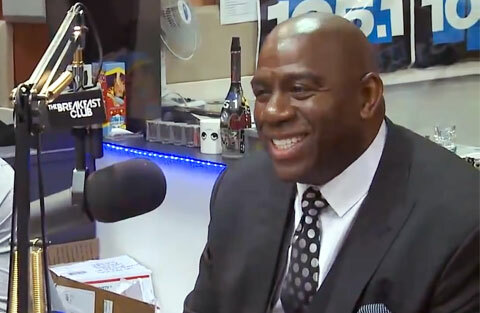 Hall-of-Famer, entrepreneur and philanthropist Earvin “Magic” Johnson will be UB’s 39th annual Martin Luther King Jr. Commemoration Keynote Speaker on Feb. 12, 2014. The series concludes April 29 with Steve Wozniak, co-founder of Apple Computer Inc. and chief scientist of Fusion-io. Wozniak is the Graduate Student Choice Speaker. Playing Field Promotions is a booking agent for motivational sports speakers and celebrities. If you would like to book celebrities like Magic Johnson or Steve Wozniak for a speaking engagement, personal appearance or product endorsement, you can contact Steve Wozniak’s or Magic Johnson’s booking agent for speaker fees at 1.800.966.1380.